Defending champions Rewa came from two goals down to held 4R Electrical Ba 2-2 yesterday. The last match of the INKK Mobile Battle of the Giants (B.O.G) tournament at Ratu Cakobau Park in Nausori lived up to expectations. Ba started the match firing and went up by two goals. Malakai Tiwa and Avinesh Suwamy scored early. The Delta Tigers came back strongly as Iosefo Verevou scored from a penalty to go into the break 2-1 at halftime. In the second half, Lorima Dau rescued the home side with his perfect goal as the side held Ba 2-2. Meanwhile, Fiji Football Association (Fiji FA) chief executive officer Bob Kumar commended the performance of all the teams. “The first day of the tournament was spectacular,” Kumar said. “Teams have played well and we are impressed. 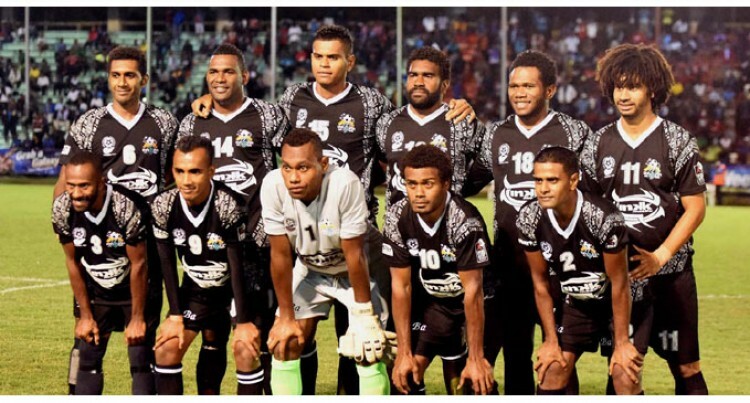 “The inclusion of the Vodafone Fijian U20 players from the FIFA U20 World Cup and U23 players lifted the performance of teams in the first day of play. “Fans will surely witness top class soccer in the remaining two days. Kumar said their preparation for the 2016 Olympics starts from this tournament. “There are build up matches to play in Europe, USA and Asia for the U23 side and we will decide all this in our meeting next week before the B.O.G final,” Kumar said.